Owners Julie and Tim Reagan started this agency over 35 years ago in their Admiral neighborhood home. Shortly after that, they moved their office to Burien. Their daughter Leah Caudle officially joined the family business in 2001, but she has actually been working with them since she was in the 8th grade, doing filing, answering phones and helping out in the office. In 2013, while out for a walk with her husband and two boys, Leah discovered the perfect location for their agency. They were finally able to bring their business back to the community that they all love so much. West Seattle. 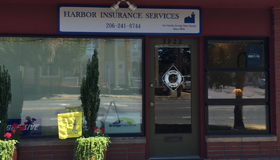 Although the agency is based in West Seattle, Harbor Insurance writes all over the State of Washington, and Oregon. Tim, Julie and Leah pride themselves in their shared philosophy of service being the most important part of their job. They add to the service aspect by being family friendly and accessible. When you call Harbor Insurance you will always talk to an agent. In addition to auto and home, Harbor Insurance insures a variety of vehicles, or “toys”. This includes boats, RV’s, motorcycles and motor homes. And because they are INDEPENDENT insurance agents, they can shop around for best prices to suit your needs. Harbor Insurance’s slogan is, “Our Family Serving Your Family Since 1979.” Tim and Julie pride themselves in taking care of the insurance needs for multiple generations of families. Original customers have referred Harbor Insurance to their kids, who have again referred them to their kids. And with Leah on-board, there is another generation or two of families which Harbor Insurance will have the privilege of serving.